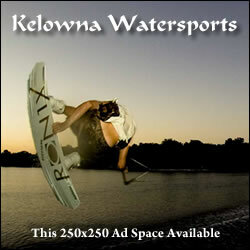 We cover Okanagan Lake in three sections, Southern Okanagan Lake, Central Okanagan Lake and Northern Okanagan Lake. Follow along as we cover each section of the lake by boat, first one shore and then the other. Points of interest are noted and accompanied with photos. 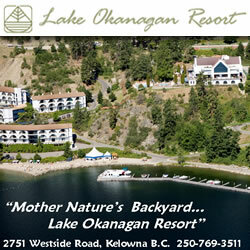 Okanagan Lake, also known as Lake Okanagan, is a large, deep lake. The lake is 84 miles long, between 2.5 and 3.1 miles wide, has 170 miles of shoreline, and a surface area of 136 square miles. The lake's maximum depth is approximately 750 feet near Grant Island (also called "Whiskey Island" or "Seagull Island" by locals). There is one other island known as Rattlesnake Island which is much farther south by Squally Point and is known as the second deepest spot in Okanagan Lake. The lake is composed of three basins, a larger North basin, a central or mid basin, and a Southern basin. The lake is drained by the Okanagan River, which exits the lake's south end in Penticton, after flowing over a small dam. Notable features of the Okanagan Valley include terraces which were formed due to the periodic lowering of the lake's predecessor, glacial Lake Penticton. These terraces are now used extensively for agriculture such as fruit cultivation and vineyards.